Toronto’s 500px photo portfolio site and marketplace is undergoing some major changes, as co-founder Oleg Gutsol is out from the company he started. The executive shared the information on Facebook on Monday, saying that he was “ousted from the company that [he] created by the people [he] trusted most.” It’s impossible to see this as a move that was reached equitably by all parties given that description, and we’ve confirmed it was not Gutsol’s decision to part ways with the startup. Reached by telephone, Gutsol explained that after a decision by the board and the founders saw him quietly leave the CEO role for one leading product six months ago, he disagreed regularly with his CEO successor Andy Yang and board members regarding the direction the site should take. A sample profile page from 500px. Gutsol’s vision saw 500px’s artist community and marketplace as two sides of the same coin, with the ultimate goal being uniting these sides of the business as a single system. He also says eventually the site had hoped to expand to include other types of artists beyond photographers under his original vision. The board and Yang see the two lines of business as separate entities, as more of a Google operating multiple distinct products type of approach, Gutsol says. “At some point, I didn’t have enough leverage to push forward for my vision” Gutsol added. When contacted for comment, 500px provided the following statement, which confirms that Yang took over the CEO role without fanfare six months ago, and tactfully addresses Gutsol’s contribution. We would like to take the time to address some of the recent leadership changes at 500px. 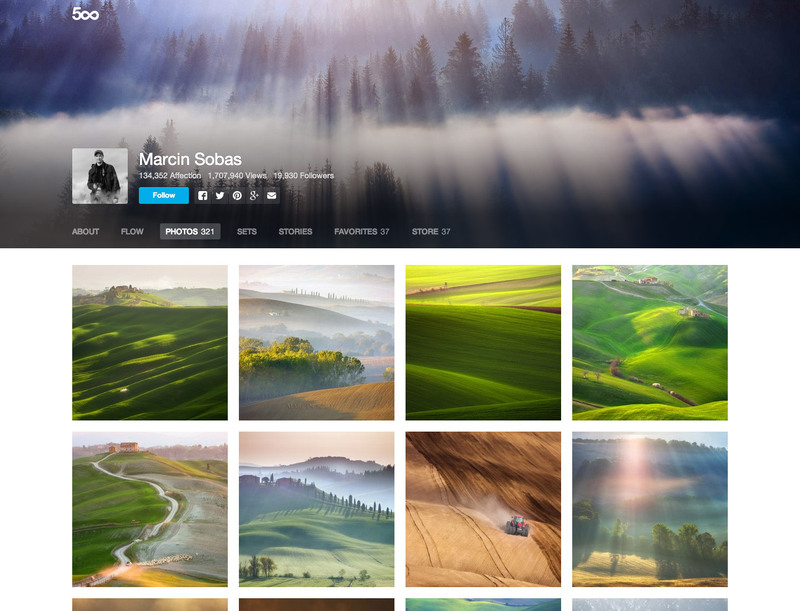 Oleg Gutsol, one of 500px’s co-founders, is moving on from the company. We would like to properly acknowledge that 500px would not exist today if not for the incredible hard work, creativity, and leadership from Oleg. His name will forever remain on the masthead of this company, and we wish him the best of luck and success in all his future endeavors. Though transitions of this nature are always difficult, 500px is well-equipped to maintain its position as a premier photography community and remains dedicated to enabling and rewarding visual creativity for everyone. Evgeny Tchebotarev, 500px’s CPO and other co-founder, still remains in a leadership role focusing on the four million-plus photographers on the platform. The role of CEO will continue to be fulfilled by Andy Yang, as it has been for the past six months. 500px’s origins date back to 2003, when it was created as a hobby photographer community by co-founder Evgeny Tchebotarev. Tchebotarev brought Gutsol on board in 2009 and relaunched it as its own site. The community has garnered praise for being a Flickr alternative with greater attention paid to design and presentation, which makes it much more suitable for use among professional and advanced amateur photographers. Gutsol says he isn’t sure exactly what’s next for him, though he intends to take some time off and will consider opportunities to help young entrepreneurs just getting started with their own projects in the meantime.